1 sites sharing the Google AdSense ID pub-0629612565143209. Record last updated on 15-Jun-2012. 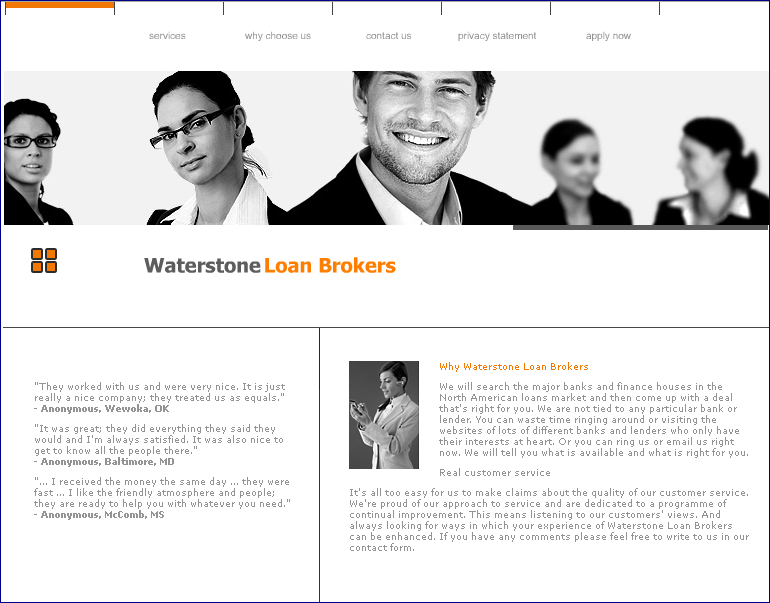 AS Number AS50098 Netvillage Ltd.
Waterstone Loan Brokers is an advance fee loan scam. Consumers allege this company is requesting approximately $600.00-$900.00 in fees prior to receiving a private loan. 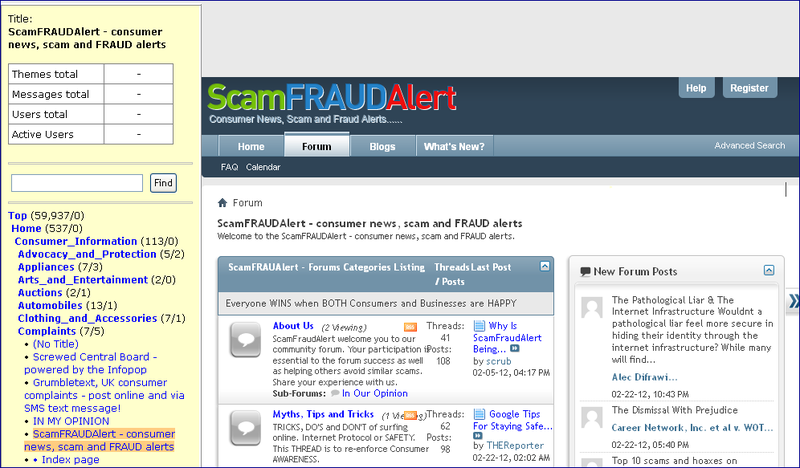 Advanced fee loans are against the law and consumers are advised to avoid these scams.